The oft-rumored iPhone 5 will hit store shelves in September with a faster processor and a similar look to the iPhone 4, according to reports. 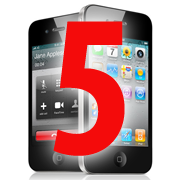 The new Apple rumors contradict previous assertions the so-called iPhone 5 wouldn't start production until September for a launch during the holidays or early 2012. Instead, the next iteration of Apple's iPhone would go into production in the summer around June or July to get ready for the big launch in the fall, according to three anonymous sources who spoke to Reuters. It's not clear what kind of a faster processor the iPhone 5 would have, but most observers expect Apple to use the dual-core A5 chip that debuted in the iPad 2. Little else is known about the next iPhone, as most speculation has been about when the new smartphone would launch and not what new features the device would offer. Since the iPhone first launched in 2007, Apple has introduced a new version every year in June during its annual Worldwide Developers Conference. But most speculation suggests a 2011 iPhone launch would happen later than usual due, at least in part, to Apple's launch of a CDMA version of the iPhone 4 on Verizon in early 2011. Apple at WWDC 2011 plans to offer a preview of the next iterations of iOS and Mac OS X (Lion). Current rumors suggest a new iOS, dubbed iOS 5, would include cloud-based features such as online storage, free Mobile Me access for e-mail, calendar and contacts syncing, and possibly new location-based social features. Apple's iOS 5 may also have an improved graphics engine. There is also some debate about whether the iPhone 5 would have a Near Field Communication (NFC) chip. NFC technology would allow you to turn your phone into a virtual wallet that lets you pay at shops, restaurants and subway stations with just a wave of your phone in front of an NFC reader. Google announced the feature for Android devices in late 2010 and Microsoft is said to be prepping Windows Phone 7 with NFC functionality. Apple typically uses September to launch new iPods and other music products, but the iPad, iPhone and iPod Touch have made Apple's other multimedia devices increasingly irrelevant. There's only so much interest you can muster every year over a revamped iPod Nano or Shuffle and a new version of iTunes. Also, if Apple releases a new version of iOS in the summer and then waits for the fall for a new iPhone, it gives third-party developers more time to get their apps ready for the new device. Whatever the reason for Apple's rumored launch changeup, without a new iPhone coming in June it will be interesting to see if the company has any other surprises cooking for this year's WWDC.